Westmeath manager Michael Ryan was ‘disappointed’ with Sunday’s 3-27 to 0-19 Leinster SHC quarter-final defeat against Galway at Cusack Park. Trailing 0-17 to 0-5 at the interval, Westmeath responded after the restart with Niall O’Brien hugely effective. Galway, though, were never in any serious danger as the Midlanders were comprehensively beaten. “We’re very disappointed with our performance,” Ryan said. “We didn’t play to our potential. A lot of that is down to Galway. They’re a fine side; they’ve a big physical presence in their team. 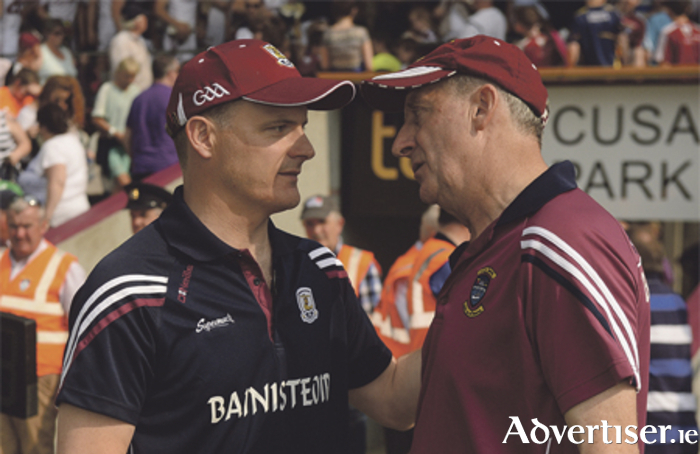 Galway manager Micheal Donoghue acknowledged that the Tribesmen gave Westmeath significant respect ahead of the contest: “We absolutely respected them,” Donoghue reflected. “They had a great win with their U21s just recently and they had three wins in the round robin. “Coming in, we had to make sure we were in the right frame of mind and in fairness the lads worked very hard for the last two weeks and came well prepared. We’re up and running now, we put up a decent score. Shane Power was red-carded during the defeat, but Westmeath will now hope to make an impact in the all-Ireland qualifiers.